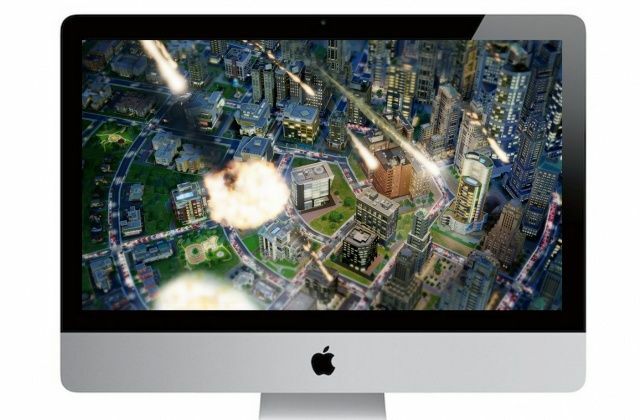 EA and Maxis have today announced that their latest SimCity game is coming to the Mac on June 11, and pre-purchasing will begin tomorrow, April 11. The title will be available to download through Origin for Mac — which launched earlier this year — and those who have already bought the title on PC will get the Mac version for free. Apple’s newest version of OS X – 10.8 Mountain Lion – has been the fastest adopted Mac operating system in history and it’s continuing to dominate. A new web traffic survey has concluded that Mountain Lion is now the most popular version of OS X used to browse the web. With Mac OS X now in its ninth edition, one of the biggest hurdles Apple must overcome for its OS X 10.9 release is which cool cat it will be named after. We’ve had Cheetah, Puma, Jaguar, Panther, Tiger, Leopard, Snow Leopard, Lion, and Mountain Lion so far. So what next? 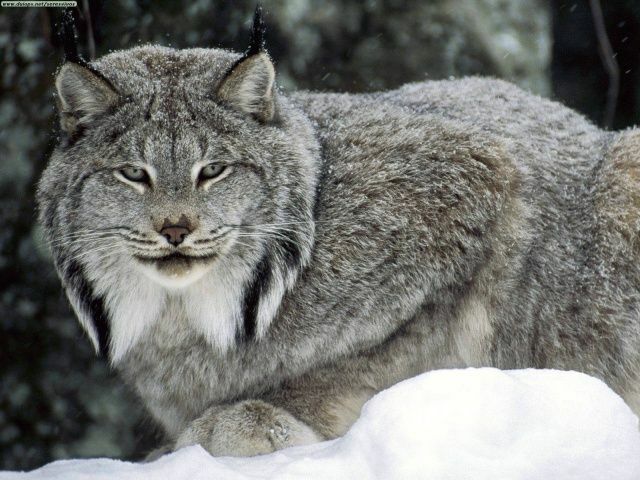 Well, according to one rumor, it’ll be named OS X 10.9 Lynx. But we’re a little skeptical. 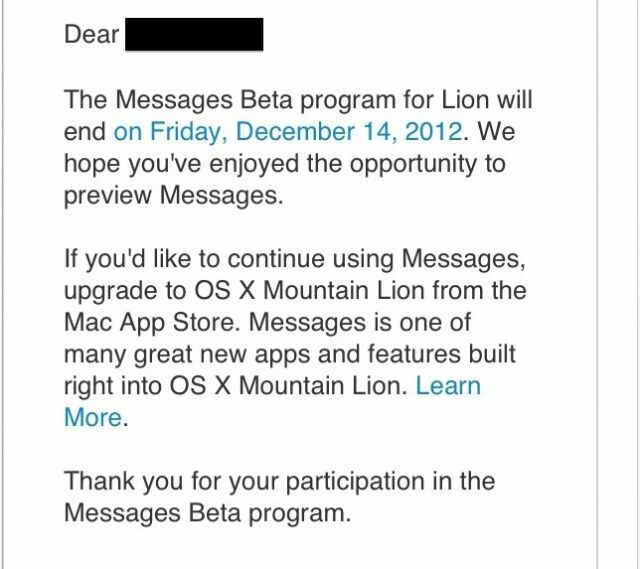 Apple has just sent out the following Email to OS X Lion users, alerting them that the Messages Beta program for OS X Lion will end on December 14th. Messages for Mac, originally launched as a beta application before the release of OS X Mountain Lion, was available for free to users until it officially launched as part of 10.8 in summer. Safari 6 comes bundled with OS X Mountain Lion and is available for download for Mac OS X Lion. It comes with a host of new features, several of which we detailed in this past weekend’s Safari tips roundup. Today, however, we note a little addition to the interface that involves renaming bookmarks. In earlier versions of Safari, you’d need to rename your bookmarks by right clicking (or control-clicking) on the name of a bookmark and then choosing the “Rename bookmark” pop-up menu item. This is no longer your only choice. So, Apple likes to change things; this much is a given. The software developers behind the operating system, OS X, are no different. They’re constantly changing the way things work from iteration to iteration of Apple’s computer software. In Snow Leopard, when you made changes to a document and tried to close that document, you’d be asked by your Mac, in essence, “are you sure you want to do that?” and you could tell it to save the changes you made, or discard them. It was a way to let us know that there had, in fact, been changes to the document, whether we meant them or not. In Lion, that little “feature” went away. Documents in Lion were always saved, regardless. This is a neat feature, in some ways, but it keeps you from knowing if you’ve made any unintended changes. Luckily, Mountain Lion lets you choose the way you want it to work. If you want to have that failsafe “are you sure” save changes dialog, you can enable it. If you don’t want it, you can disable it. 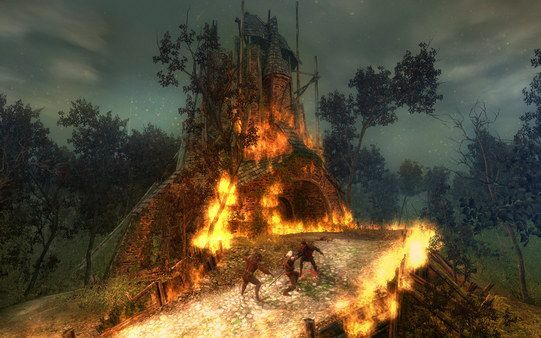 If you’ve been wanting to play The Witcher, CD Projekt’s well-regarded RPG based on the book series by Polish author Andrzej Sapkowski, now might be a great time to do so. The game has just been patched with support for Lion and Mountain Lion, letting more modern Macs join in the fun. Amazon shows its Mac app some love. 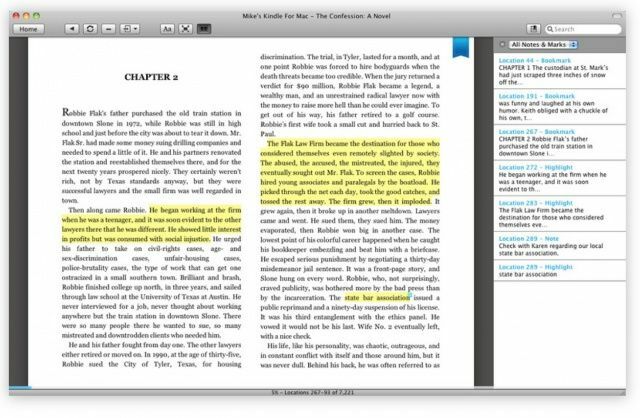 After unveiling its latest Kindle lineup last week, Amazon has updated its Kindle app for Mac OS X to introduce support for new books that employ the Kindle 8 format. 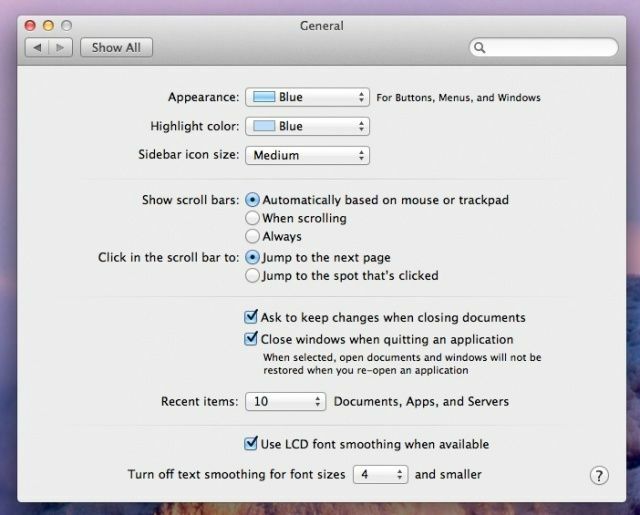 It also adds OS X Lion gestures and a number of improvements. A new Apple white paper helps IT manage FileVault 2. Apple has released a new white paper for CIOs, IT leaders, and IT professionals. 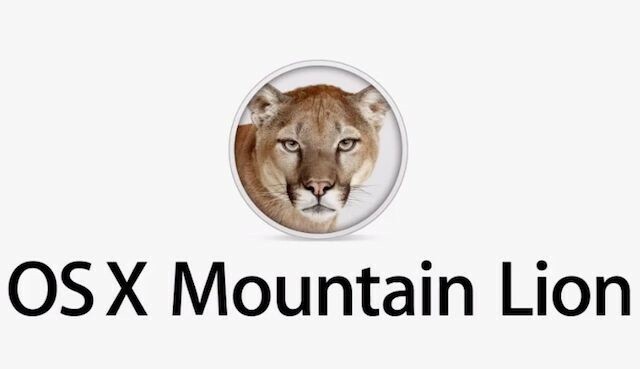 This one targets FileVault 2, which was introduced in Lion and remains present as a high security feature in Mountain Lion. The 42 page document joins a growing collection of white papers and guides available from Apple that detail the mechanisms and best practices for integrating Macs into Windows-centric enterprise environments. Apple’s latest desktop operating system, OS X 10.8 Mountain Lion, launched just over a month ago, but its usage is spreading like a raging forest fire. 48 hours after its release the OS was already running on 3.2% of all Macs, but new data is showing that 10% of all Mac users are now running Mountain Lion on their machines. Chitika has been tracking the adoption of Mountain Lion via their ad network, and says that the usage of Mountain Lion has been increasing steadily with no sign of letting up. The new OS is on track to outpace OS X Lion, which took three months to gain 14% use on all Macs.